LHOP's Homebuyer Course is eight hours and is offered as either a one-day class held on Saturdays or a three-day evening class held during the week. Please review our calendar for course hours and dates. The Course certificate issued for those completing the course and meeting the course standards can be used in conjunction with a variety of local mortgage loan programs and FHA, PHFA, VA, USDA program offerings. 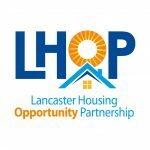 Contact (717)291-9945 or info@lhop.org for more information.